On this day the 16th Ohio arose at 3:00am and, at sunrise, started their march back to Cumberland Gap. It is assumed the collection of forage was successfully accomplished the day before. The regiment passed back through Tazewell and took the opportunity to fire cannons and rifles toward the Confederate camp. 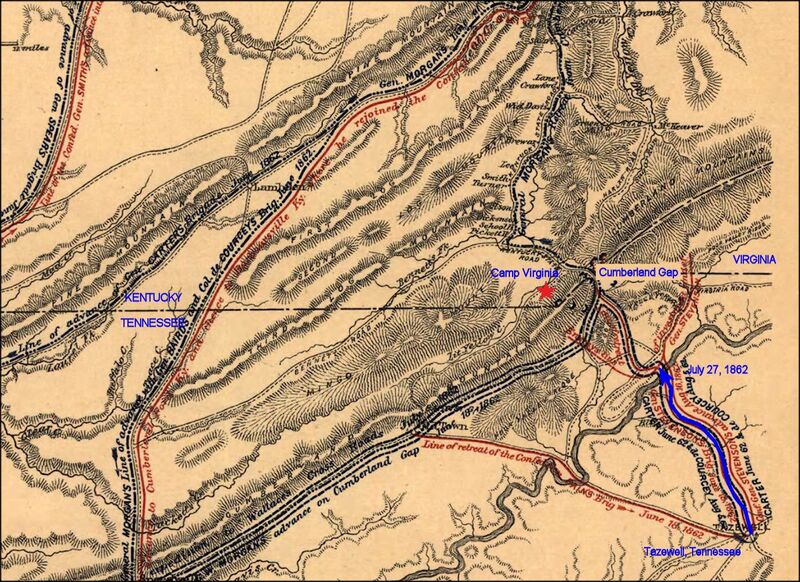 The regiment camped for the night at Powell's River, roughly half way back to their more permanent camp at the northwest end of Cumberland Gap. Period map showing the approximate route of the 16th Ohio on its return march from Tazewell, Tennessee, to its campsite on the northwest side of Cumberland Gap.